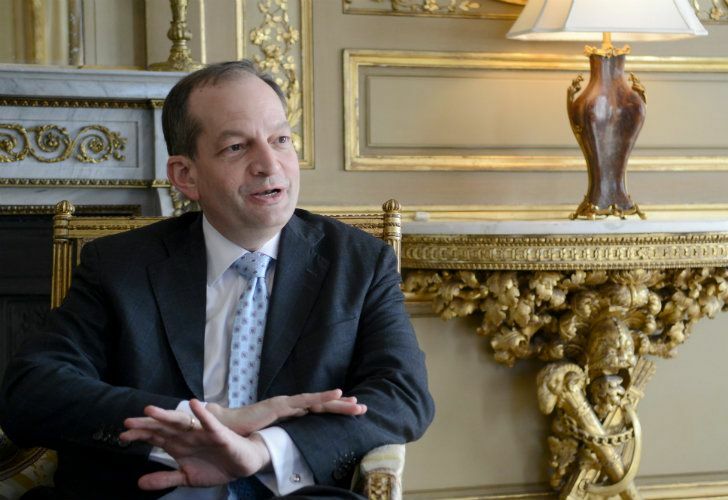 US Secretary of Labor Alexander Acosta on the future of work and bilateral relations with Argentina. Alexander Acosta is the United States Secretary of Labor. A native of Miami, Florida, and the son of Cuban immigrants, he is the first and only Hispanic person to serve in US President Donald Trump’s Cabinet to date. 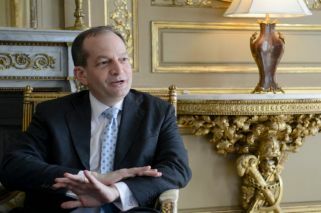 During a visit to Argentina for the G20 summit for the Joint Meeting of Education and Employment Ministers, Acosta sat down with the Perfil newspaper for an interview. You are visiting Argentina for the G20. Are you planning to have bilateral meetings? Yes. I have the G20 [meetings] ... and I have some bilaterals set up. I am of course looking forward to meeting with [Labour] Secretary Jorge Triaca. He visited me in Washington and I got to know him during last year G20 meeting. He’s got great ideas and works very hard. More generally I wanted to make a stop here in Buenos Aires for another reason. Part of the work of the [US] Department of Labor includes an international component. We work with a couple of countries to support foster programmes that encourage different models to develop skills, both soft skills and technical skills. I just met with students from one of these programmes, who were really great. It’s nice to see the results when we invest in these projects. US companies often complain about labour regulations. 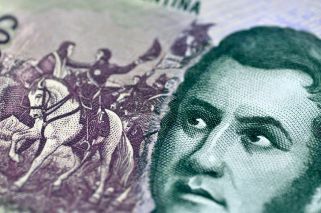 Do you think that Argentina should undertake labour reform? I am gonna be meeting with American Companies and I want to hear what they have to say. You know… there is a balance to be had. And the reality is that some regulations are necessary. It’s necessary to protect the health and safety of workers. But sometimes regulations became outdated, they are no longer necessary and need to be updated. Then it’s incumbent on the government to re-examine them and, if they are no longer necessary, to change or eliminate them. And every country has to set that balance. I think it was a very clear and strong message of support. These are difficult economic times for Argentina and President Trump’s statement was a pretty clear statement of support for a key strategic partner of the United States. Will you be reinforcing this idea during your visit? Part of my visit here it's to reinforce the president’s statement and I will convey that to the minister here. But I think the president was quite clear. The US is a key ally for Argentina in the negotiations with the IMF. But many people here are afraid that the agreement will produce a rise in unemployment. What’s your view? Argentina is going to have to proceed with the IMF in the way that Argentina sees appropriate. There are a number of multilateral organisations and they are all working with Argentina, I know that you are also looking to access to the OECD [Organisation for Economic Cooperation and Development] and President Trump has made clear that he supports OECD accession as well. As this proceeds I think that the message is that the United States is a partner, that the United States is supportive and we recogniae that Argentina is a key ally of the United States. And President Macri has heard directly from President Trump that we are there for him. I think that the Trump administration wants more trade. I think that all countries are looking for fairness on trade, and what the United States is looking for is for fairness and trade. The president made a very interesting proposal at the G7, he said: “Why don’t we eliminate all tariffs across the board by everyone?” And no-one is taking him up on that. And I think that the reason it is so interesting is that it really highlights what the president is trying to do, which is to really have more trade but in a way that benefits all the countries. Part of the G20’s agenda addresses the future of employment. What should be done to prevent robots and artificial intelligence from taking all our jobs? I think we need to take a step back and be a little careful. Because it is very intriguing that works gonna be taken over by robots. If you look at history, since the first machine was made, people have being saying that machines are gonna take over. Though what really happened is that machines do the harder, more repetitive work and empower people to do better work ... What we saw is that human ingenuity has found ways to leverage technology to create more jobs. I will give you an example, if you look at online commerce, individuals can now, around the world, sell things to global markets from their home by posting them on an online commerce site. There are any number of technologies that empower individuals to start a small business. I think it’s is important to not let the headline overcome the reality: that humans have great ingenuity and will find ways to leverage technology. I also think that it is important that we take a step back and realise that something that is in permanent change is the speed of change. And what I mean by that is that it is not enough to go to school, get an education and then go to work. We need to have life-long learning. Now technology makes it possible for people to learn through their lifetime.